Meanwhile, spoon frosting into resealable plastic bag; seal bag. Cut tiny hole in bottom corner of food storage plastic bag. Pipe frosting onto cooled cookies to resemble hair. 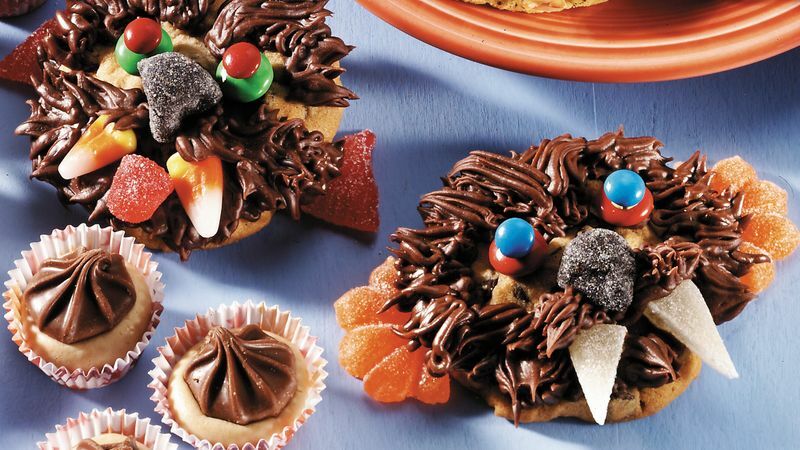 Attach candies with small amount of frosting to decorate face as desired.